How's everyone's CNY? Did everyone enjoy this festive season? If you hang around Northbridge anytime last week, I'm sure you saw lots of lion dances around! 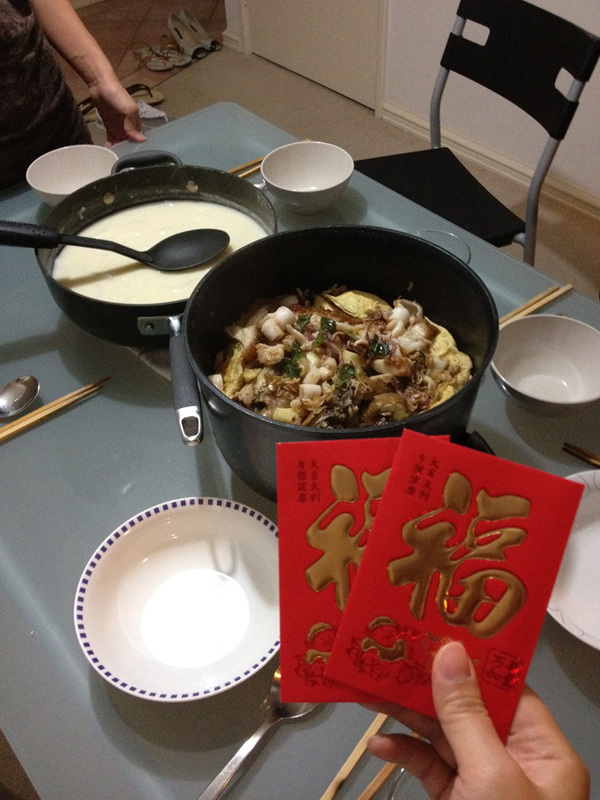 For my second week of CNY, I got my first red packet from our friends Franky and Mira! The first couple from our group that got married last year. A few of us went to his house to "Bai Nian". 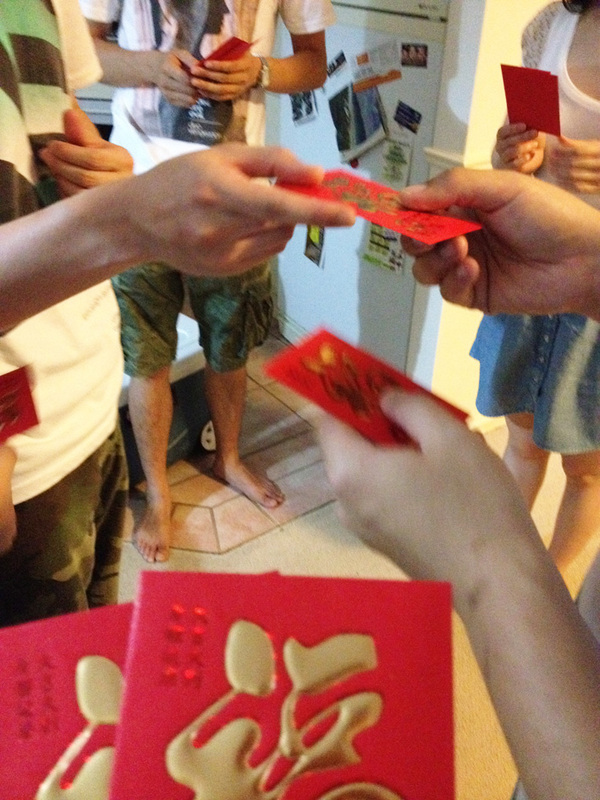 Such a weird feeling that my friends gave me red packet! hahaha I'm used to receive red packet from elderly :P Wow.. I'm getting old am I?? They cooked us a meal that I have never tried before! 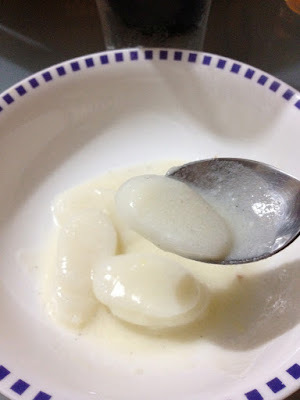 Korean rice cake soup and Chinese style "Pen Chai" Mix pot. The Rice Cake soup was delicious! I can't stop eating it! Very delicious stock and rice cake is just nice. 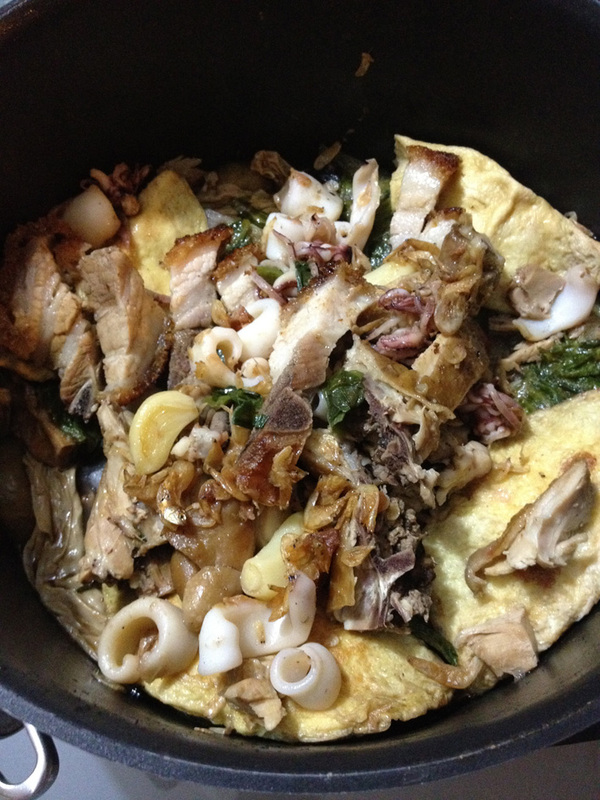 As for the Chinese style Mix Pot, I think it consist of 13 or 18 ingredients in it. I can't remember how many exactly but the reason why they have to have those number of ingredients is for luck. 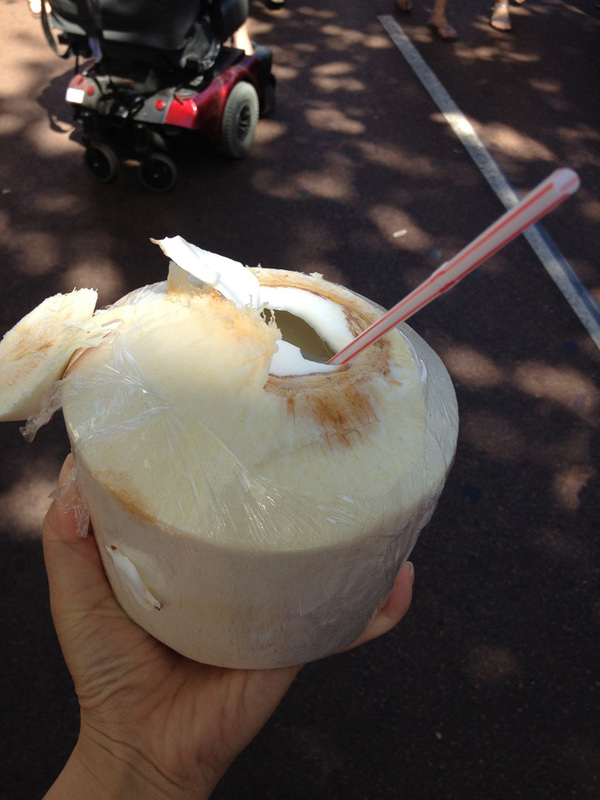 Taste really yum! I like it too! This is one of the ingredient in the pot. 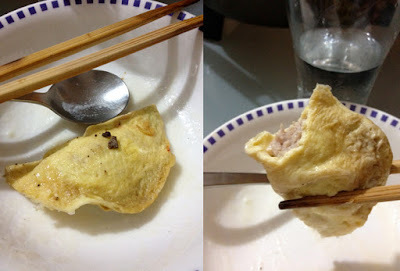 Egg wrap. :P Fiddly to make I know haha. thanks Franky for the effort! Give you and Mira 2 thumbs up! After that we sat around the TV and cheer for the Tennis game! It was quite intense!! 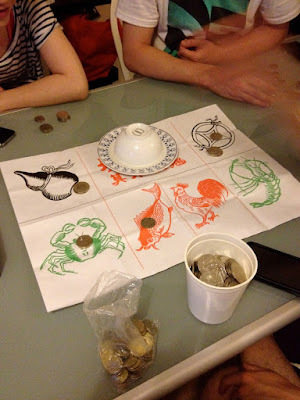 After that, we played "Yu Ha Hai" game! 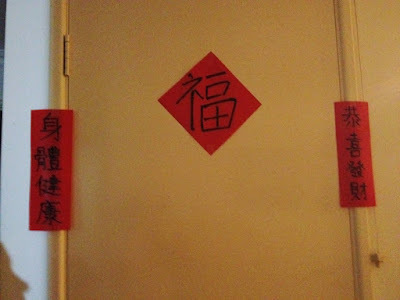 Translation should be Fish Prawn Crab! That conclude our night on Friday. On Saturday, I went to have Brunch with Joe at Hai Bo near Inglewood. A reader told me about this place so I decided to give it a go! 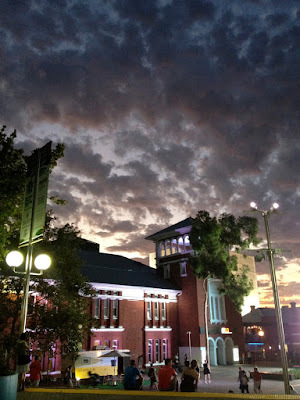 Will blog about it soon. 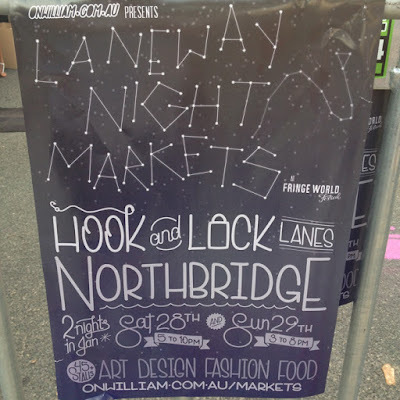 After that I went to Laneway Night Market with my cousin. 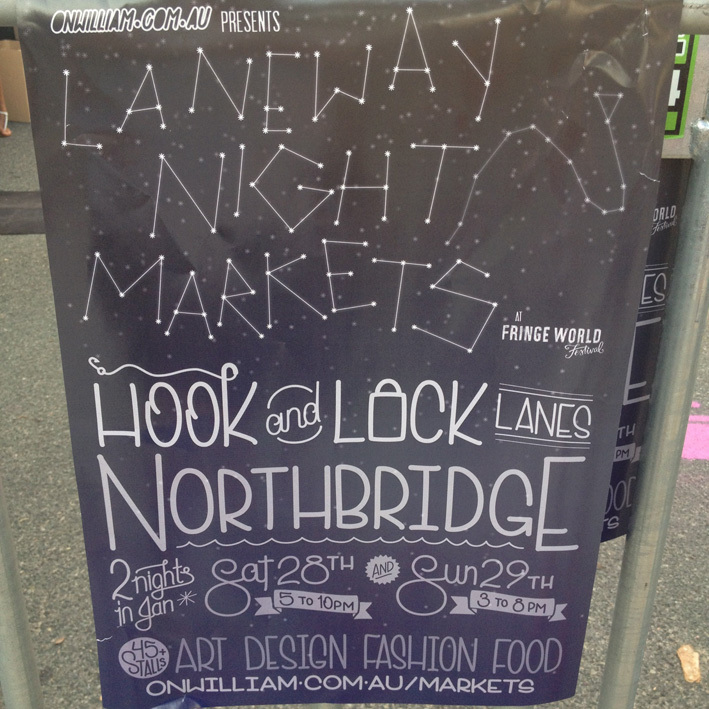 It's quite a cool and small market. Lots of quirky and vintage stuff. One of my cousin's favourite is the huge sushi pillow. I think it's a pillow.. ? haha it's cute! 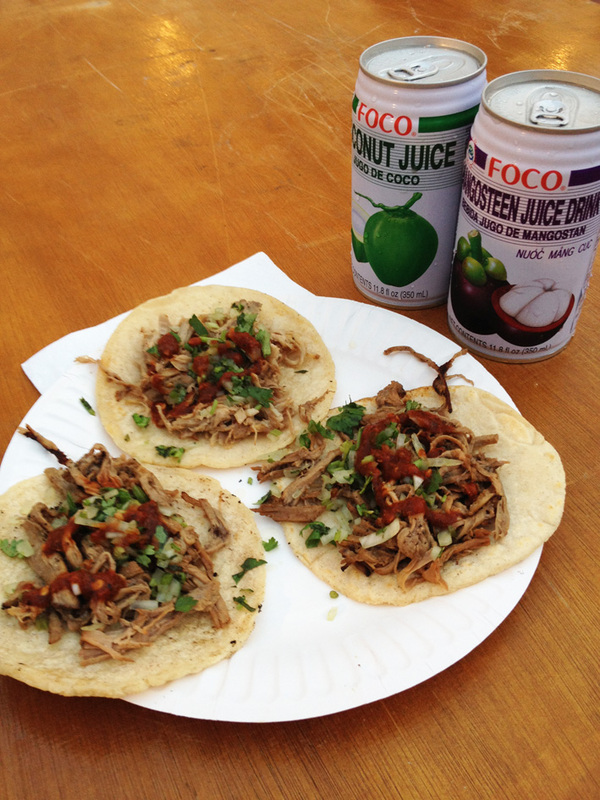 As for me, I like the Tacos! 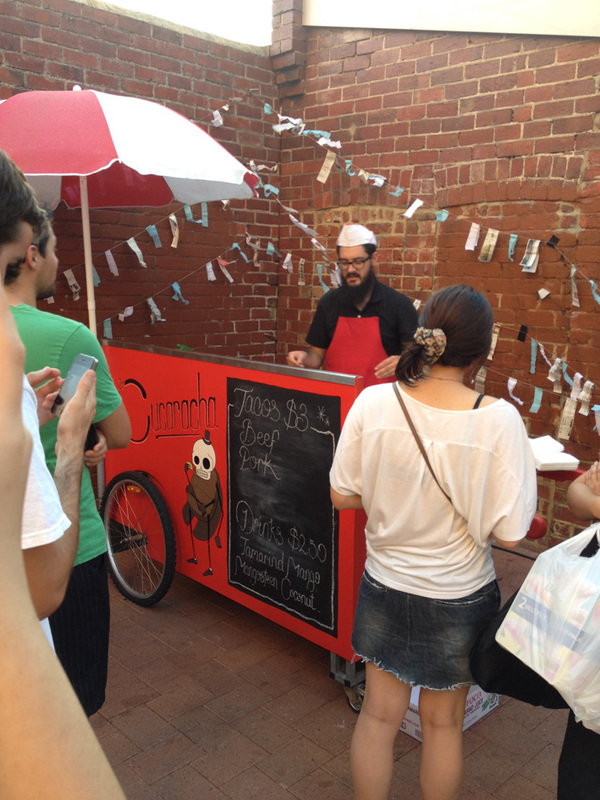 Poor guy making Tacos on a hot day of 40 degrees! I'm sure he is sweating like Djokovic. But his Tacos were yum! We had the Beef and Pork ones as the Beans sold out. 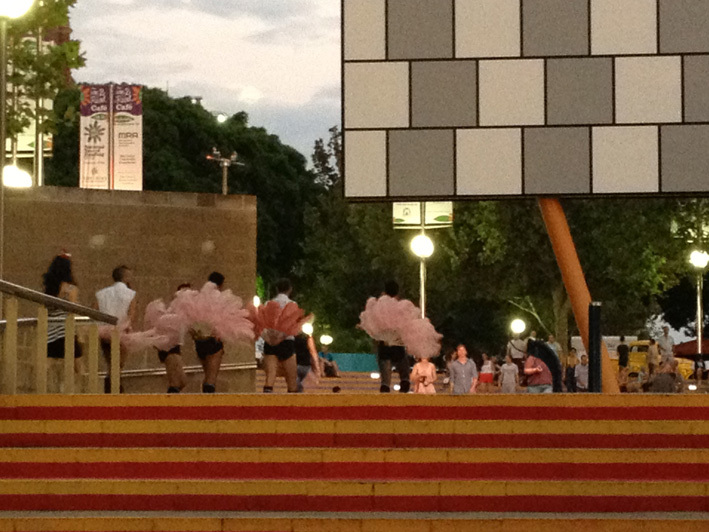 Then I saw the Burlesque boys running around Northbridge to promote their show at the Fringe World. After that, went back to my cousin's house to bake! 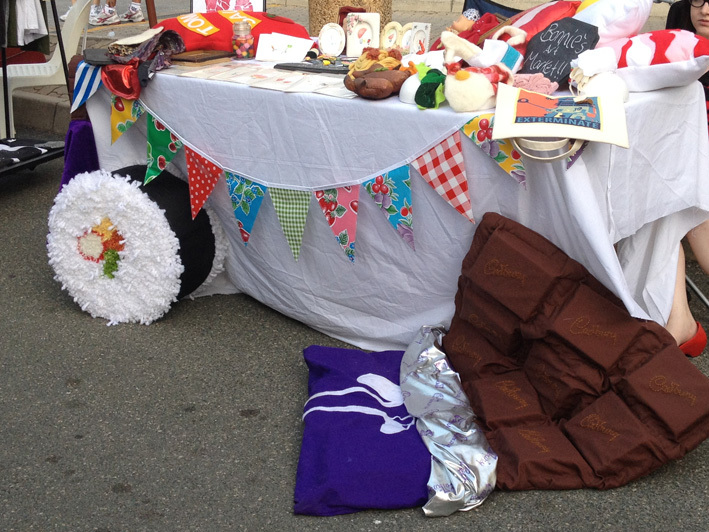 We were quite drained from the hot day so we weren't as energetic.. but we still manage to bake some yummy cookies! 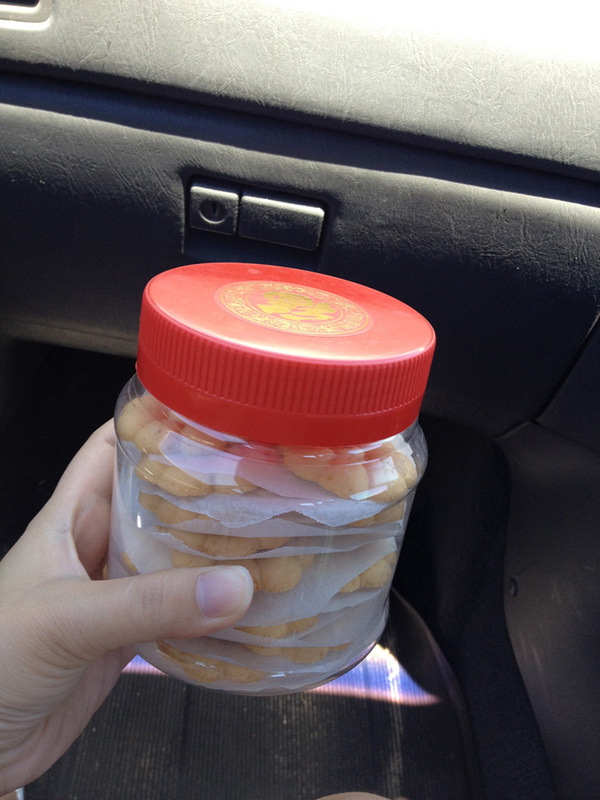 It's not an ordinary cookie... it's my favourite cookies that my mom always baked on CNY! 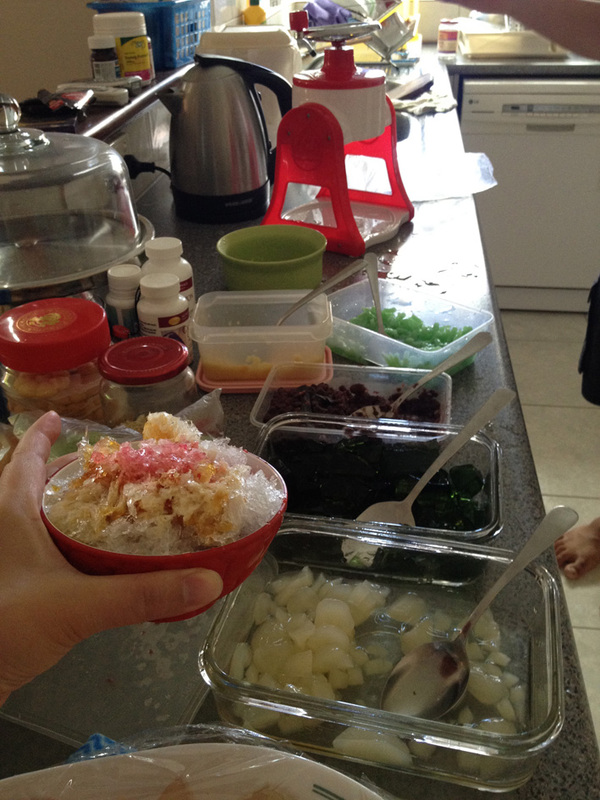 My aunt invited me to her house to have Popiah feast! Look at how much food she prepared! 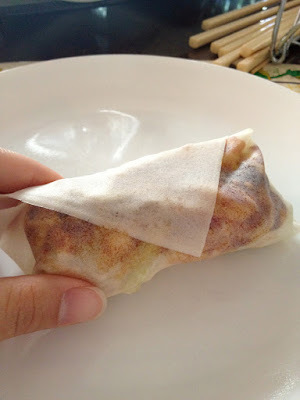 Popiah is Fujian/Fuzhou style Fresh Spring roll. Put whatever you want on the paper like crepe, roll it up and Nom! After that we have Malaysian Ice Kacang!!! OMG look! 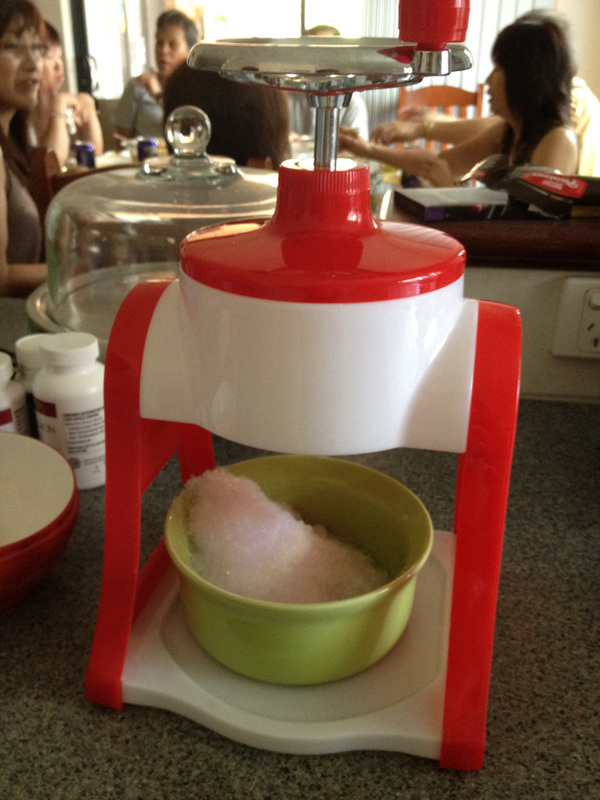 My aunt got the ice kacang machine! I want one!! 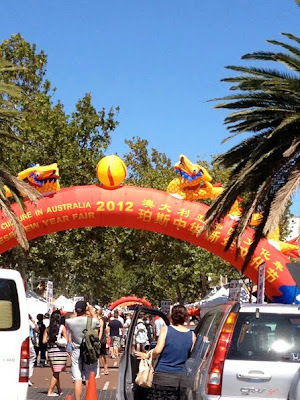 Anyway, back to CNY Festival in Northbridge! Lots of people there! 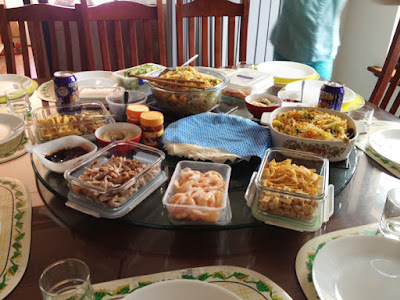 Lots of food! performances! We had coconut juice! Refreshinggggggg!!! Saw some performance.. 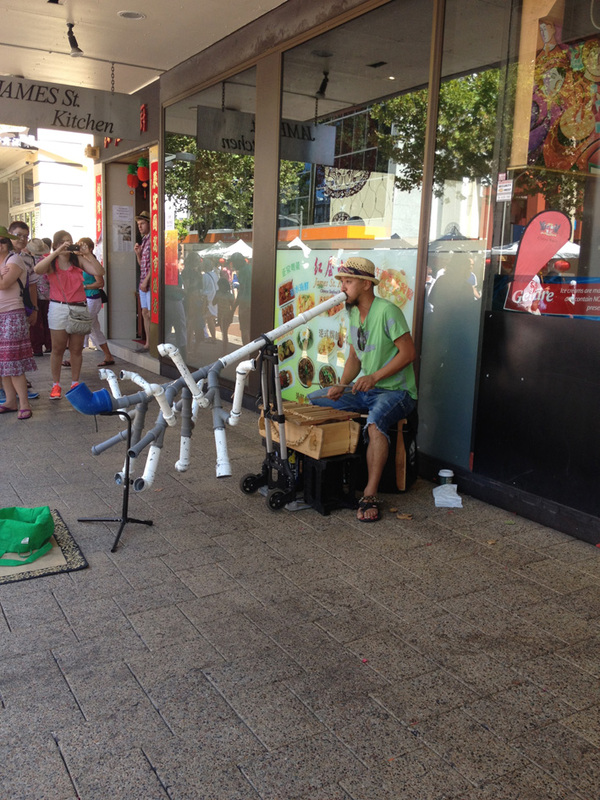 I didn't take a lot of photos though.. :P because it was a hot sunny day and too many people. 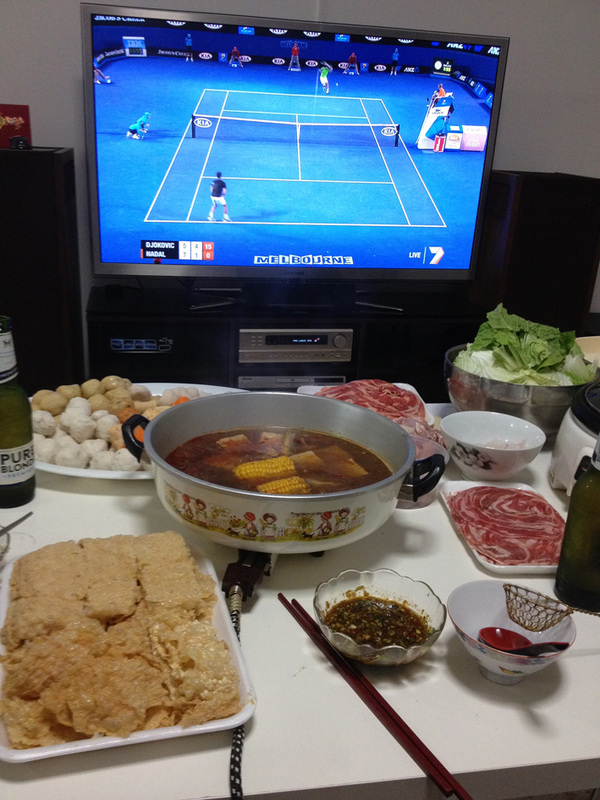 I end my Sunday with friends and family at home, having spicy steamboat and watch the tennis final, Djokovic Vs Nadal. The most intense game EVER!!! 5-6 hours game!! Aren't they tired?? 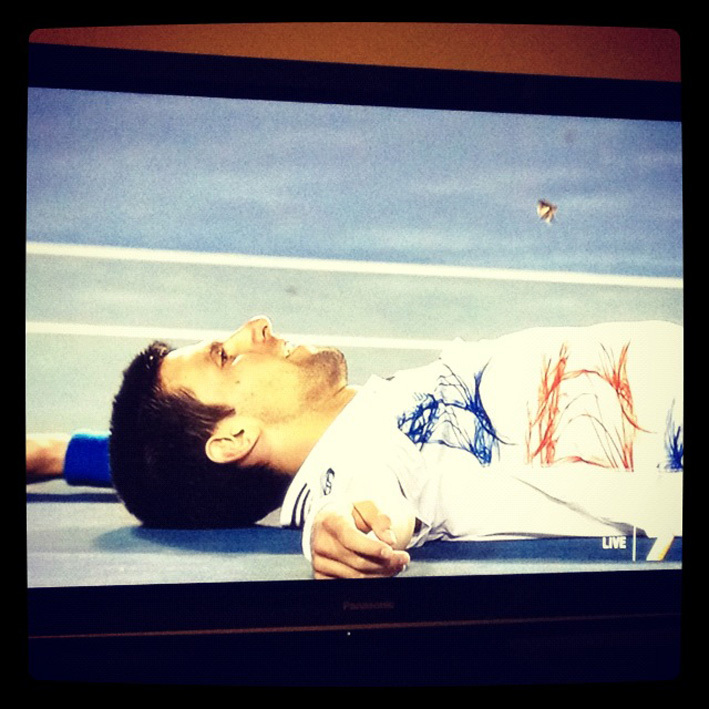 Congrats Djokovic to win the game and of course Nadal for being such an awesome competitor!! They are both awesome!